CTS 3-12x50 is a collimator sight with variable zoom and made by RusOpticalSystem. 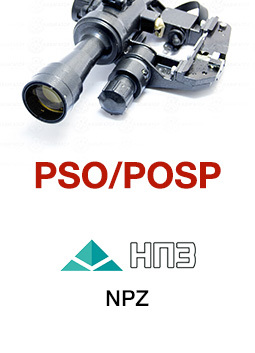 The CTS 3-12x50 is a collimator sight with variable zoom and made by RusOpticalSystem, a successor of the well known ZOMZ FZA, who were the manufacturer of the tank-like PPO and PZL tactical rifle scopes. This optic has a smooth range of magnification and is designed for precision shooting plus target observation. 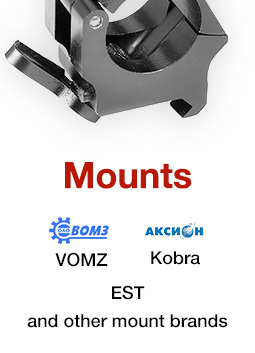 It can be installed on any sporting or hunting rifle no matter the caliber as long as the necessary mounting space is available. 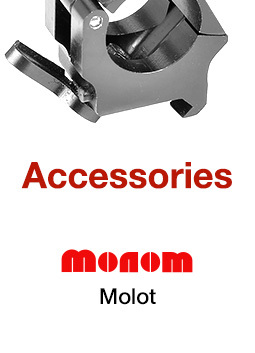 The sight is meant to be mounted with standard 30mm diameter rings. 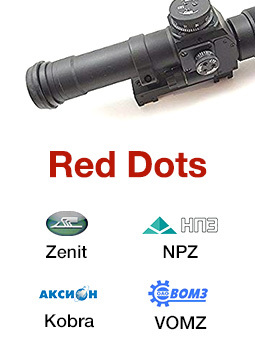 The CTS 3-12х50 ensures more accurate aiming without any parallax (a shift of image relative to the plane of the reticle) which is inherent of iron sights. This means that the target and the reticle both can be seen equally sharp. There is an illuminated reticle with various levels of brightness which makes this sight convenient to be used not only during the day but at dusk which extends the amount of time available for hunting. Best of all because it is a collimator optic, the shooter can see the aiming marks with one eye and the target with the other eye. This is convenient for fast aiming and shooting at close or fast moving targets. There are rubber seals for higher moisture resistance and to prevent condensation plus the inside of the scope is filled with nitrogen which further helps prevent fogging. The operating temperature range of the sight is from -45 ° to +50 ° C.
We believe this optic is comparable to US or European rifle scopes for a half of price. You get smooth magnification, parallax elimination, two reticles and the possibility to use the scope with a closed objective cap. A definite BEST CHOICE!